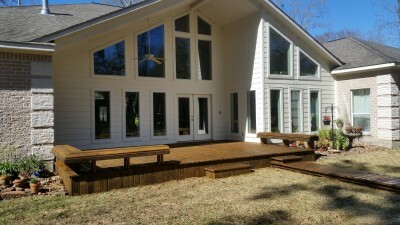 Stained wood decks in Kingwood and the greater Houston areas will help protect the wood and will most certainly make it more beautiful. 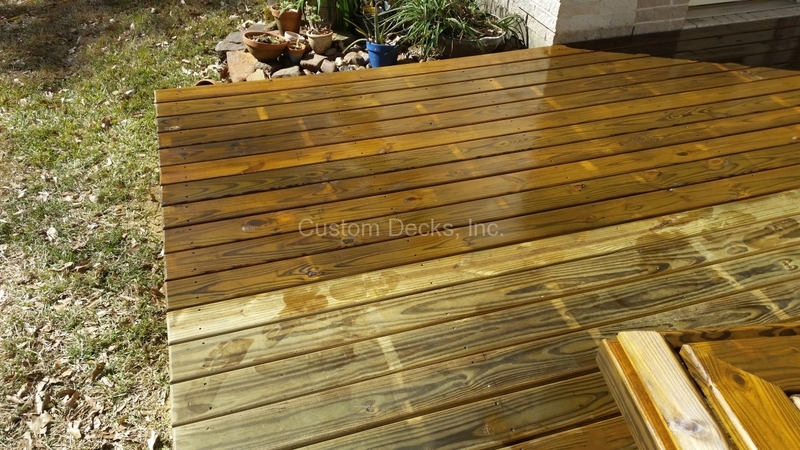 If your wood deck is showing signs of weather and wear, we can make it look new again with a stain. 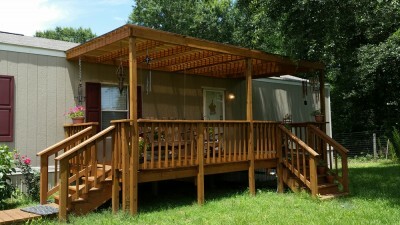 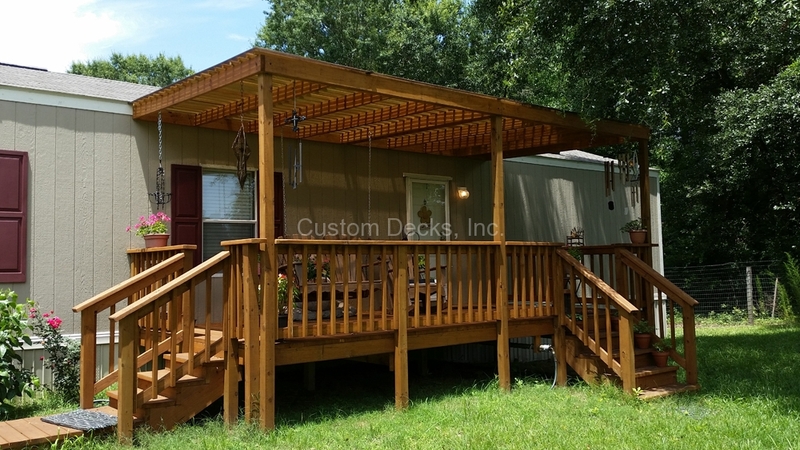 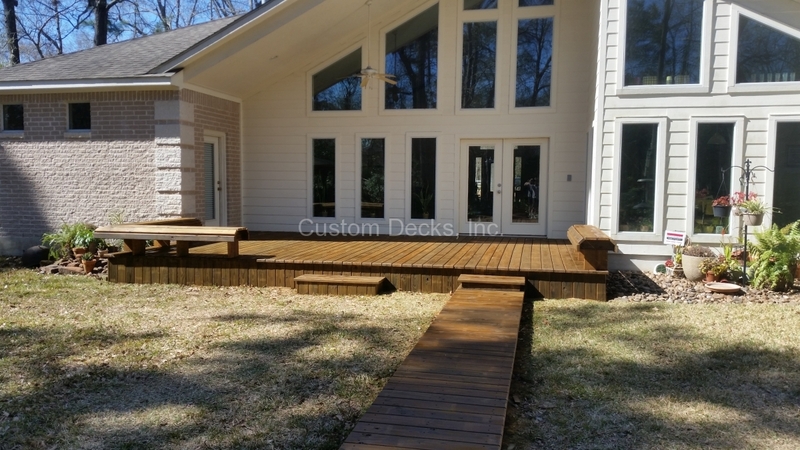 Decks go through a lot of abuse from day to day, so it is important to keep good maintenance on your deck. 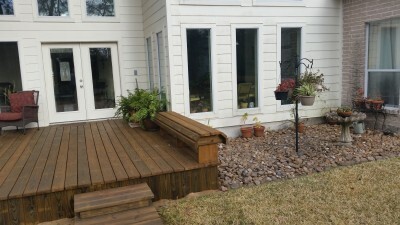 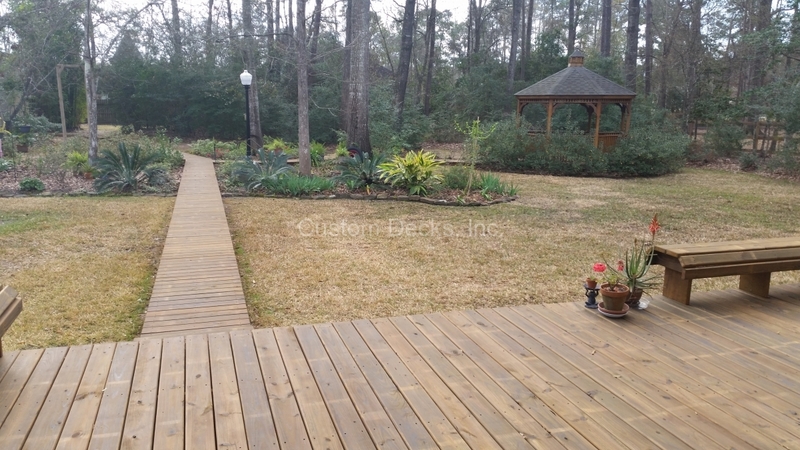 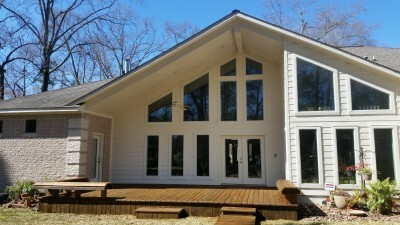 Stained wood decks not only gives a fresh new look but also protects it from the elements. 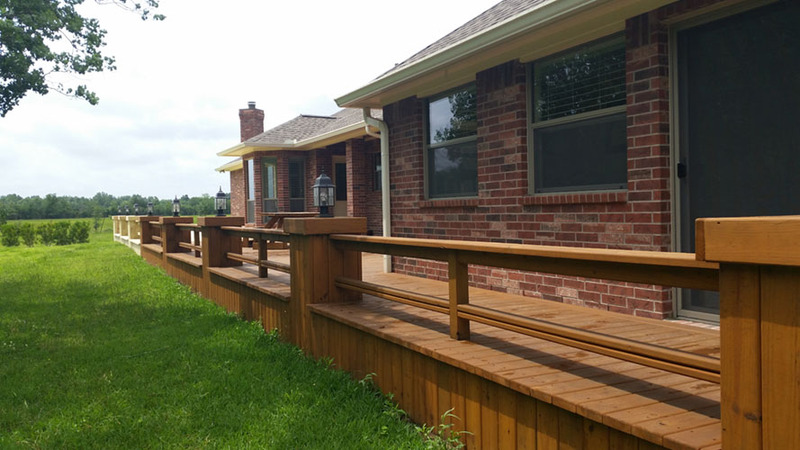 Your deck is exposed to the sun every day, and overtime it can be highly damaging if you do not have a good deck stain applied to your deck. 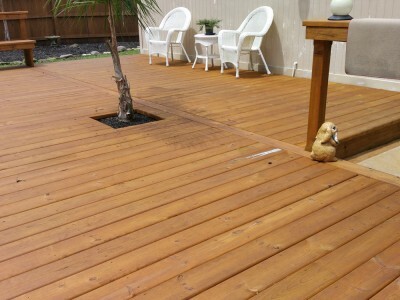 If you have stained your deck previously, it might be time to reapply. 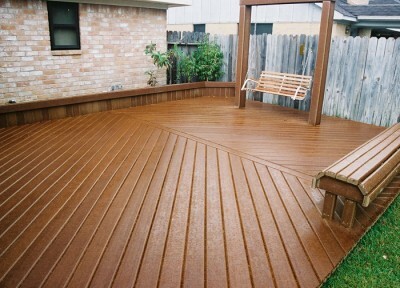 If you use your deck frequently, you will have to reapply more often than someone of only uses their deck on occasions. Staining is important, but so is letting a professional do it. Many people try to stain their decks by themselves and end up with a huge mess. Why go through the hassle and stress? Let us do the hard part so can you enjoy the beautiful new results! 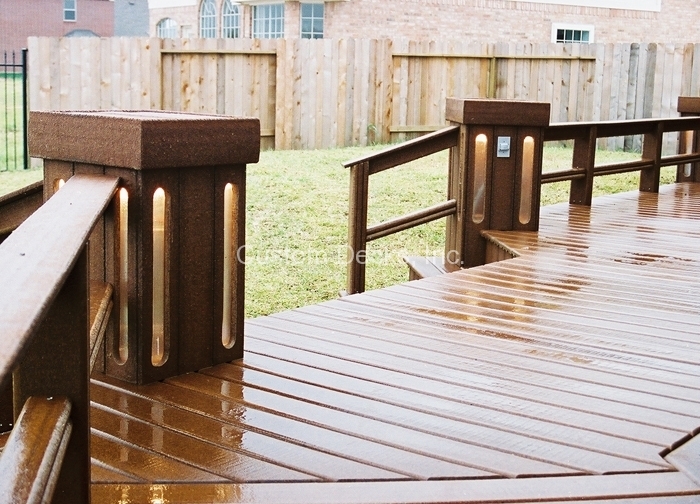 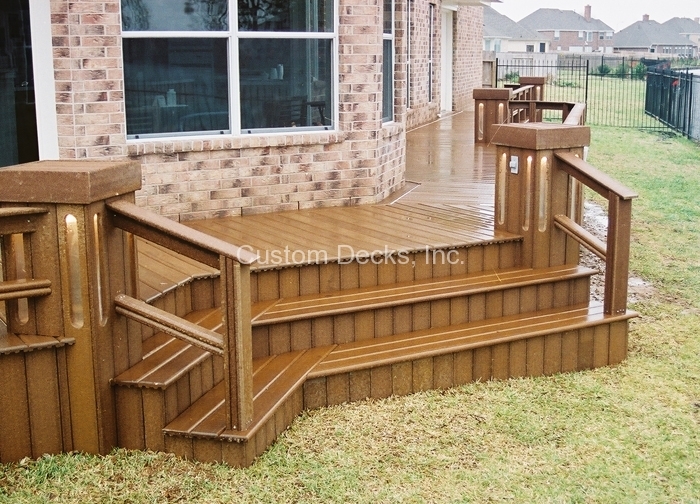 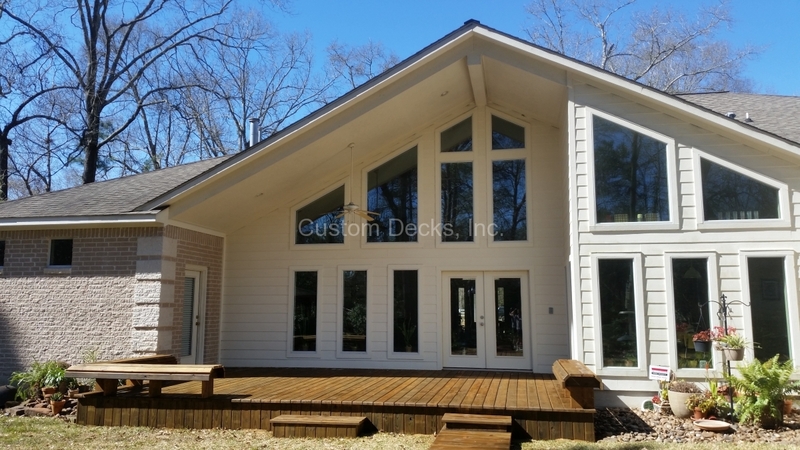 We offer a trustworthy deck stain that will protect and look great at the same time. 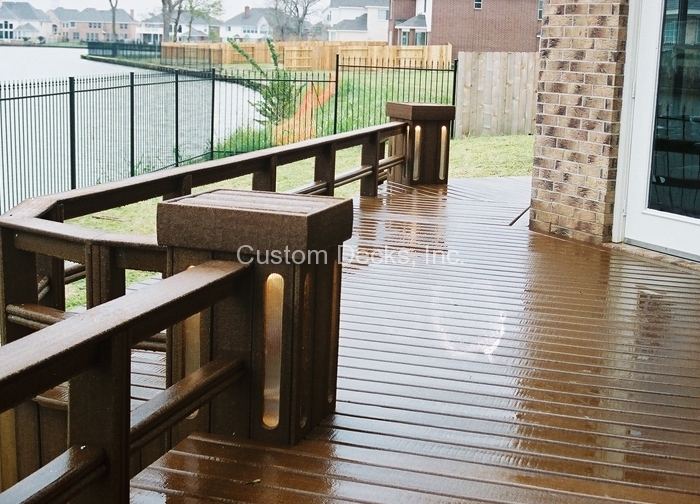 Call today and get your deck ready for your next barbeque! 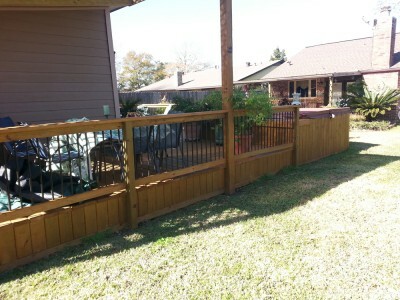 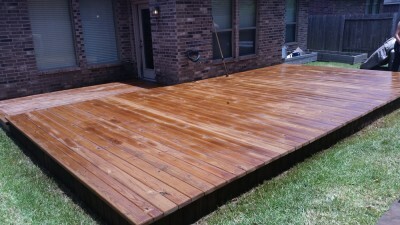 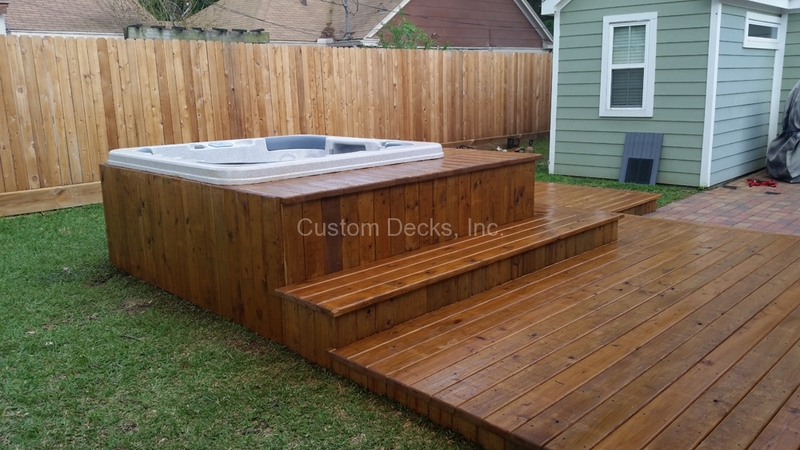 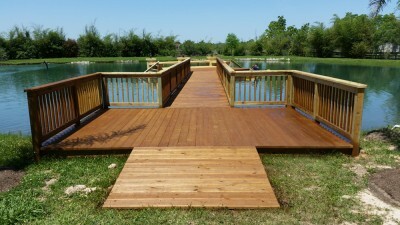 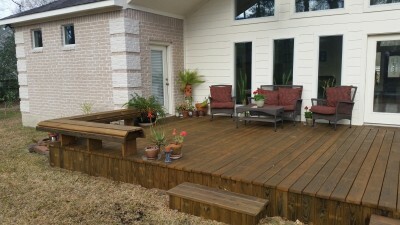 Please call us if you have any questions about staining your deck at 281-540-9600. 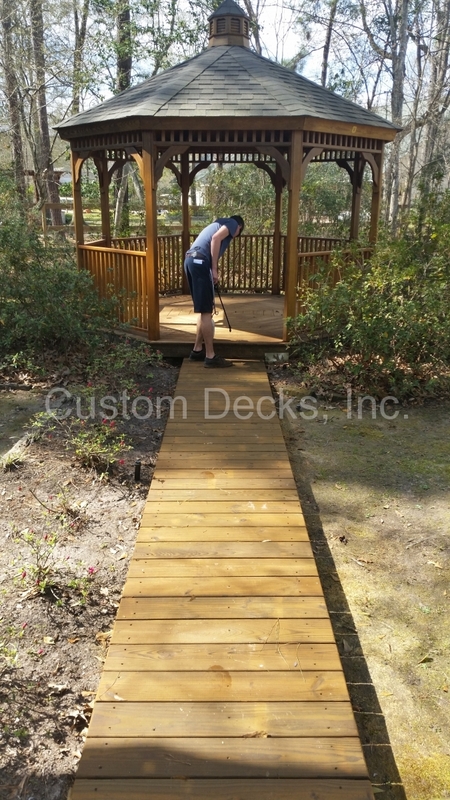 We’ll be happy to help!